* Note: The condition “before leaving the masjid” is not a precluding condition. It is mentioned only to describe one common way these rak‘āt may be performed. The same reward will therefore be received for praying them at home. This is an authentic chain and ḥadīth. All of the narrators in this chain are trustworthy and reliable. Abū Nu‘aym al-Aṣfahānī mentions that a group of the companions of Imām Abū Ḥanīfah narrated this ḥadīth from him, including al-Ḥasan ibn al-Furāt, Abū Yūsuf, ‘Abd al-Ḥamīd al-Ḥimmānī and Muḥammad ibn al-Ḥasan al-Shaybānī (Musnad Abī Ḥanīfah, p. 224). The ḥadīth is also found in Kitāb al-Āthār (Dār al-Nawādir, 1:133) of Muḥammad ibn al-Ḥasan al-Shaybānī and Kitāb al-Āthār of Abū Yūsuf, both of them directly from Imām Abū Hanīfah with the above chain. However, in both their narrations, the chain stops at Ibn ‘Umar (raḍiyAllāhu ‘anhumā) and is not reported as the words of the Prophet (ṣallAllāhu ‘alayhi wasallam). In other words, Imām Abū Ḥanīfah narrated it as both a mawqūf and a marfū‘ narration. It is supported by other narrations. Note 1: These 4 rak‘āt are performed with one salām, as mentioned in the narration of ‘Abdullāh ibn Mas‘ūd (raḍiyAllāhu ‘anhū), and as stated explicitly by the Ḥanafī fuqahā’. Note 2: The sunnah mu’akkada ṣalāh after ‘Ishā’ consists of two rak‘ahs. 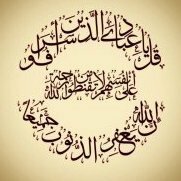 The four rak‘āt described above are mustaḥabb or sunnah ghayr mu’akkada. However, according to the stronger opinion in the Ḥanafī madhhab, if only these four rak‘āt are prayed, two rak‘ahs from them will count in place of the sunnah mu’akkada ṣalāh, and one will have performed both the sunnah mu’akkada and mustaḥabb ṣalāh. Hence, it is not necessary to pray the 4 mustaḥabb rak‘āt separately from the 2 rak‘ahs of sunnah mu’akkada. However, since there is a difference of opinion, it would be better to offer them separately.